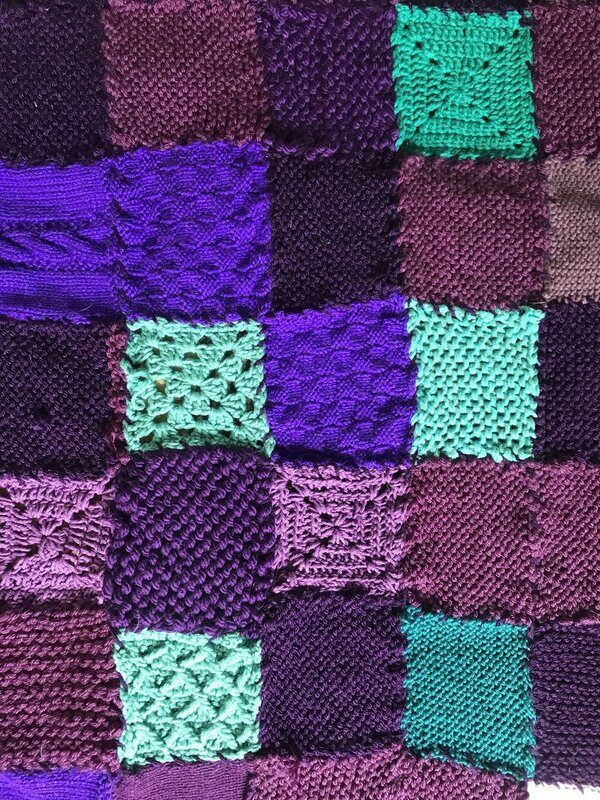 This collaborative fiber art project was organized in an effort to raise awareness and share resources around suicide prevention. 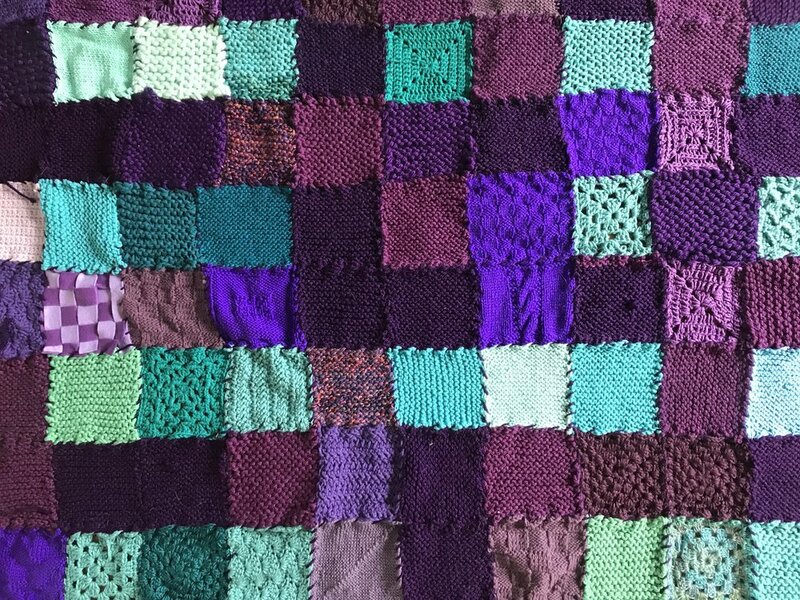 Throughout the month of August 2018, I collected 5 x 5 inch knit or crocheted squares from more than 50 people in the DC community and around the country in teal and purple (the official suicide prevention awareness ribbon colors) to create a community-made tapestry for display during National Suicide Prevention month. The finished product is a 10 x 5 foot wall hanging that spells out "Be the one to" in morse code, with take-one tags along the bottom sharing information on how to get involved with Lifeline's #BeThe1To campaign. The finished piece was on view at Art All Night on September 29 (Shaw Art Market, Parcel 42). Thank you to all who participated!